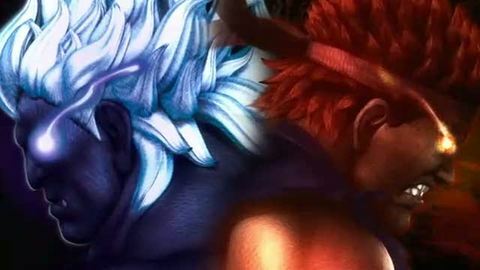 Confusion was sparked by an Andriasang report this morning in which Ono was quoted as saying there are no plans to bring Super Street Fighter IV Arcade Edition to home consoles. Why? Because Arcade Edition has some characters who were purposely made strong, upsetting the balance of the game. The Arcade Edition introduced Yun, Yang, Evil Ryu and Oni. Some have taken Ono's comments to mean the four characters won't be offered as DLC, but the eccentric Japanese developer took to Twitter today to tease an announcement soon after the March launch of the Nintendo 3DS. "Plz wait it after release 3DS in US/Euro !! ;D" was Ono's typically enthusiastic response to a call for SSFIV AE console news from one of his followers. "I'll try not to disappoint every time! Is it right? ;)" he responded when asked whether the story that SSFIV won't be DLC was true. Then, "I make someone less unhappy! Everything's going to be all right!" And, finally, "Over my dead body!! It all right! ;D" in response to the question: "is it true no AE edition on console?" Looks like it's a case of when, not if, then.